Good leadership quotes can help shape leaders and those they lead. Check out our collection below. A true leader is a symbol of success wherever they are. Leaders create new path where there was none. They make things easier. They provide solutions to the most insurmountable challenges. It is the greatest leaders who have been pivotal in changing history at different times. Here are some of the most famous and inspiring leadership quotes that can motivate you to become a better leader. You will notice that these quotes can not only guide you to be a better leader but also a better follower. Get inspiration from these quotes or share with your friends and loved ones to make this world a better place. Great leaders genuinely care for and love the people they lead more than they love leading itself. Leadership without love degenerates into self-serving manipulation. Check out our Michelle Obama Quotes on Leadership. The mediocre teacher tells. The good teacher explains. And, the superior teacher demonstrates. The great teacher inspires. 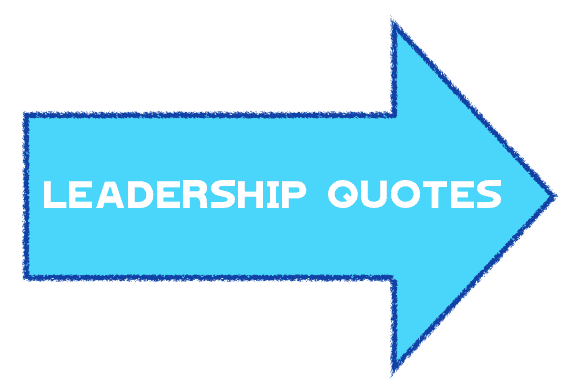 If you know of any good leadership quotes, please let us know via the Contact page. Thanks. I like a leader who can, while pointing out a mistake, bring up the good things the other person has done. If you do that, then the person sees that you have a complete picture of him. There is nobody more dangerous than one who has been humiliated, even when you humiliate him rightly. Contrary to the opinion of many people, leaders are not born. Leaders are made, and they are made by effort and hard work. A leader has to appear consistent. That doesn’t mean he has to be consistent. You’re on Good Leadership Quotes.